Photo: Glencoe, ca. 1851, 1340 Glencoe Road, Glencoe, MD. Listed on the National Register of Historic Places in 1983. Photographed by Aukirk (own work), 2012, [cc-by-3.0 (creativecommons.org/licenses/by/3.0)], via Wikimedia Commons, accessed January, 2016. The Baltimore County Courthouse is located at 400 Washington Avenue, Towson, MD 21204; phone: 410-887-3196. Baltimore stands at the head of Maryland counties in population, wealth, and resources, and its area of 622 square miles is exceeded only by Garrett and Frederick. When the "Belt" was annexed to Baltimore City in 1888, the county lost considerable territory, 36,000 inhabitants, and the towns of Waverly, Oxford, Woodberry, Hampden, Calverton. The eastern neighbor of Baltimore County is Harford, its western, Carroll; and it is bounded on the south by the bay, the city, and the Patapsco river separating it from Anne Arundel and Howard. The Pennsylvania state line is the northern boundary. The topography of the county is diversified and attractive, elevated and rolling, watered by numerous picturesque streams, and well timbered. The soil is strong and fertile, and a great variety of crops is grown. In mineral resources Baltimore is particularly fortunate. From the early days of the colony its iron ores attracted capital, and from time to time numerous iron-manufacturing establishments have been in operation. Copper mines were formerly worked in the county, and from this industry grew the present large copper works at Canton, which now use copper from Montana, the mining of the county deposits being very expensive. The first discovery of chrome ore in America was made a few miles north of Baltimore City, and a flourishing industry in the manufacture of products from this ore, of wide applicability in the arts, was established. The building stones of the county have given it high rank in the industrial world. The famous Woodstock granite is found in the southwestern corner, and has been quarried since the thirties. It has been used in many of the chief buildings in Baltimore City, and in the Congressional Library and Washington Post Office. The most valuable of Maryland's limestone deposits, it is said, are the highly crystalline marbles of Baltimore County. The Beaver Dam marbles have been used in the construction of the Washington monuments in Baltimore and Washington, and Federal, state, and municipal buildings throughout the East. Gneiss and gabbro rocks are also used in building. The county is noted for its mineral waters — Chattolanee, Roland, Strontia, Lystra, etc. There are valuable deposits of serpentine and porcelain clays. Along the Patapsco and the bay are numerous pleasure resorts, and fishing and gunning shores. The Baltimore and Ohio; Philadelphia, Wilmington and Baltimore; and the Baltimore and Potomac run through its southern portion; the Northern Central extends northward through the county into Pennsylvania; the Western Maryland runs northwesterly from Baltimore city; and there are several short lines and electric roads. The county seat is Towson, named after General Nathan Towson, seven miles from Baltimore, on the Maryland and Pennsylvania railroad. It is the terminus of a city electric car line, and is situated in the midst of a superbly developed agricultural country. It has a population of 2,500. Canton and Highland town, small cities in themselves, largely given over to manufacturing, adjoin the eastern limits of Baltimore city. Cockeysville has a large stone quarry; at Lutherville is a female seminary; Emory Grove and Glyndon are noted camp grounds; Catonsville and Mt. 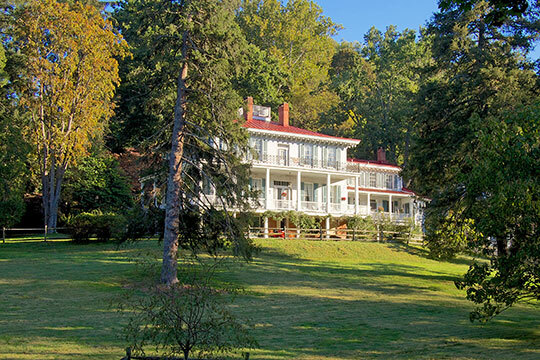 Washington, with Roland Park and other towns, are known for their fine residences and picturesque locations. Hundreds of industrial establishments, large and small, are located in the county, and Steelton (Sparrow's Point) is the seat of the mammoth plant of the Maryland Steel Company. The county has many fine estates and country seats, and from its formation, in 1659, has been the home of a great number of the foremost men of colony and state. The battle of North Point was fought on its soil. For years it had a congressman of its own. Baltimore was the name of the Irish estates of the Calverts. The private and sectarian educational institutions of the county are numerous, and some of them of widespread fame.